You have realized that you need an ophthalmologist, and, after looking over the plethora of services that our doctors offer, have decided that our eye surgeon is the physician for you. Now what? Our New Patient Center is equipped to help you get things started, making the new-patient intake process as seamless as possible. 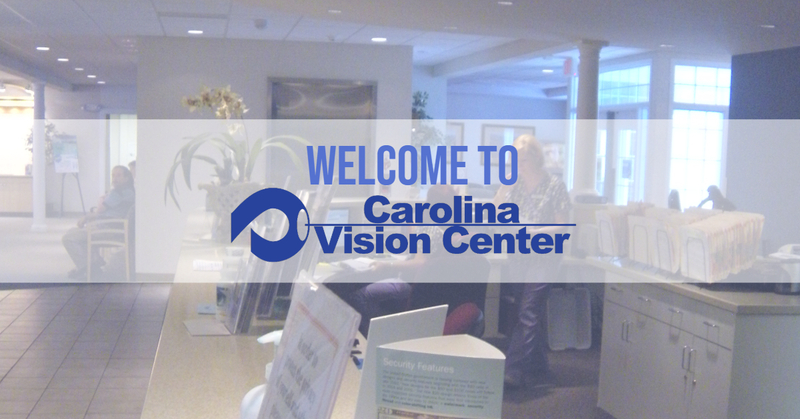 At Carolina Vision Center, we are professional, yet capable of upholding the flexibility you need to meet your busy lifestyle needs. This not only comes across in our office, but also comes across online. Our online patient center streamlines the process, making it easy for you to find payment information and complete all the necessary paperwork prior to your first visit. All online forms are designed to give our Doctors a glimpse at your previous and current medical history, as well as help the eye doctor understand your questions, concerns and goals regarding your vision and eye health. With this information, our doctors and our staff are able to better understand your needs and ensure you get the quality eye care you deserve.